I am not normally one of those self-absorbed people who thinks her friends can’t survive without me taking photos of my food and posting it . . . But for this? I got my housemate, Linda, a KitchenAid with part of my winnings from SweetFreeBooks.com. This is what she just made. Who needs Cinnamon Rolls when you can have German Chocolate Rolls with dark chocolate whipped cream cheese frosting? Oh, and here is the new toy itself. And it is Bright Pink… cool! Kids On The Food Network! OK, I know that I have probably just found something that you all know about already, but I got a huge kick out of the Rachel vs. Guy Kids Cook-Off on the Food Network. Eight kids, one as young as 10, compete to win their own Web Show for Food Network. There were four episodes that I watched in order all in one night, and these kids were awesome! They created dishes even the Food Professional final judges couldn’t believe were made by kids. Four girls and four boys competed, and all did spectacularly well. The final score was barely points apart, with the second and third place winners tying, only one point behind the winner. These kids were mature, funny, and yet serious enough to pull off an amazing series of shows. There were break-downs and tears, and I honestly felt that there was a bit too much pressure on these kids (stage mommy, anyone?) but overall they handled it like champs, and made themselves proud! Here is the link for the Winner’s New Show – Enjoy! If you haven’t read The first two books, pick them up today and prepare yourself! 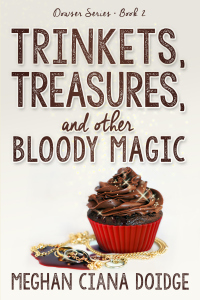 The cover reveal will be on my site on MAY 1 and I would love for you to drop by and see it. These new covers are beautiful! I’d been thinking about rebranding the Dowser series for awhile, and knowing I was about to publish the third book in the series this seemed like the perfect timing. I adore Irene Langholm, who has done ALL of my book covers up to this point, but together we thought another cover designer might bring some lightness or playfulness to the covers. And so entered Elizabeth Mackey. We went with simple, strong branding – chocolate hues, of course – and I really, really love them. I know, I know you want to see the third book!! 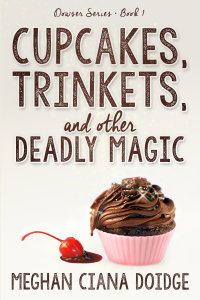 How about a teaser and a cover reveal date to tide you over? Please feel feel to share, share, share!! Yummy Hot Pepper Sauces From Louisiana-And Beignets Too! Yummy! Louisiana style hot pepper sauce from my friend M. K. Clinton! Yummy yummy! M. K. sent me Louisiana Red Dot Hot Sauce from Louisiana! These sauces are vinegar based, and incredibly tasty! I tried the Roasted Pepper last night on my turkey breast and potatoes and it was marvelous. Tonight, I made a casserole and used the Chipotle. It was even tastier! Beignet mix from Cafe du Monde!!!! 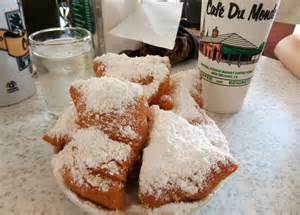 The real and authentic Cafe du Monde! Poster courtesy of Ann’s Journals Collection. Thanksgiving. The celebration of the survival of the first group of White colonists to live through their arrival on the new continent, soon to be called “America.” The Native population helped them to survive, teaching food gathering, how to build shelters, and how to survive the harsh Eastern climate. Hence began the genocide of whole cultures, the slaughter of women and children, and the modern day environmental disasters of the White invaders. But be that here nor there, Thanksgiving is now a celebration of family, friends, and community. Though in this day and age, there is way too much hunger in this land of plenty. Job loss; home loss; women and children living in cars and on the streets. The pressures on the American people are crushing. Hunger is out of control, and the systems that provide food and shelter for those in need are being squeezed tighter and tighter to pay for military costs and the greed of the top 1% of the country – those who caused this nightmare in the first place. So, before you sit down with family and friends, you should consider doing your part to help. Call in a donation to your local shelter or soup kitchen. Better yet, grab up the turkey and stuffing and carry it with you, and your friends and family, and volunteer. The needy will be fed, and you might be surprised at just how wonderful it makes you, and those you love, feel. Photo courtesy of Armchair Patriots. Yummy BACON!! Bacon, Bacon, Bacon! I love bacon. 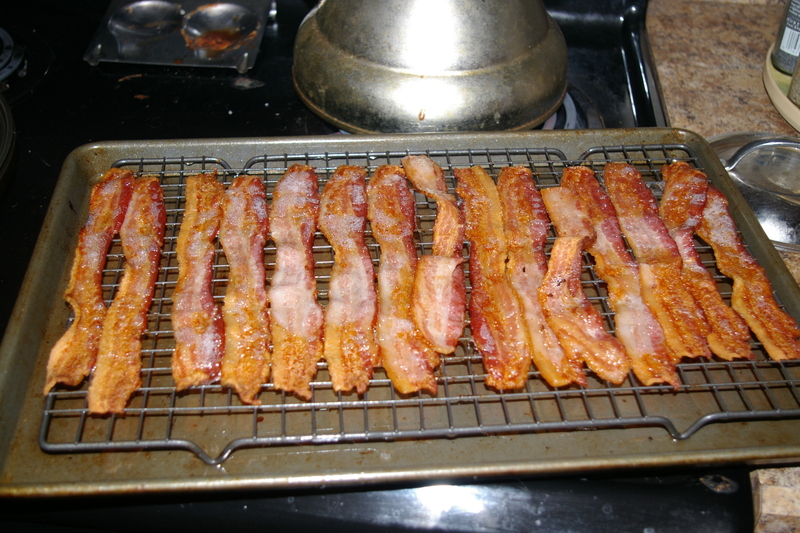 Greasy, chewy, crispy, lovely bacon. Especially if it is thick cut and covered in cracked pepper! What is embarrassing is that I used to be a vegetarian, but I gave that up several years ago. I am sure the old me is rolling around in her mental grave, spitting at me, but hey, I. Love. Bacon. The thing is, it comes in pound packages and as I am the only person who eats it, it would spoil before I could finish off a package. And freezing it in segments means that I have to mess up pans and the stove top every time I want some. Then, there is the whole donut thing. I love donuts. I know, I know, they are HORRIBLE for me, but I don’t do them often, only every few months or so. And I also love french toast, made with wonderful brioche. Light bulb. . . 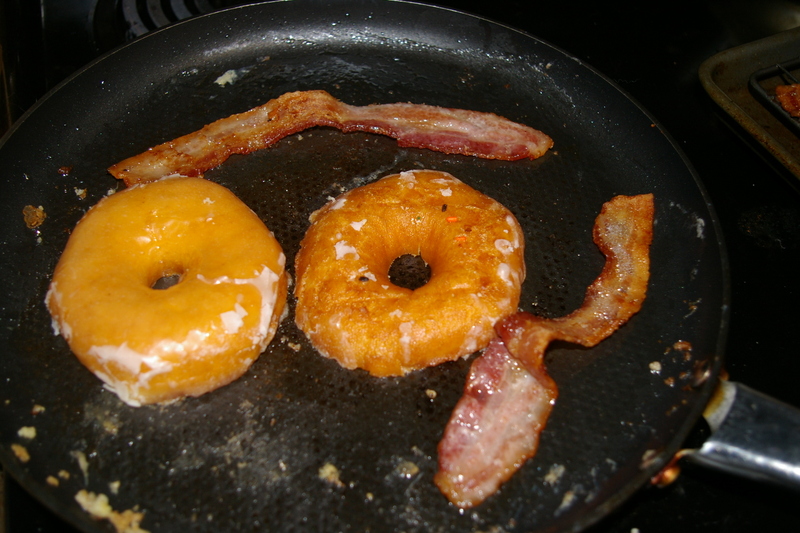 I split a donut in half, dipped it in a beaten egg with some cinnimon, and dropped in the pan with a couple pieces of bacon. Hot, sweet, greasy and OMG delicious! I dipped only the cut side and dropped it on the hot griddle then covered it and lowered the heat. Hot all the way through, bacon nice and hot, and what a lovely breakfast! OK, so I have to eat nothing but veggies for a few weeks, but hey, it is worth it! There are a lot of things going on for me in the book world in the next couple of weeks. 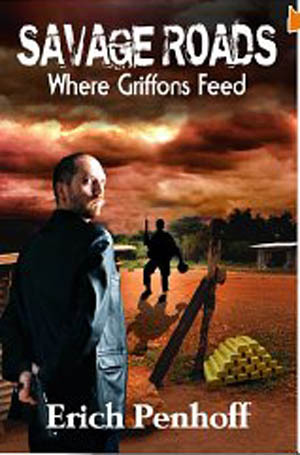 I am doing a re-edit for Erich Penhoff’s Savage Roads, the first book in the Savage Series. I have finished the edit on the second book in the series, A Savage Death and it will be published mid-month. Watch here for the publication announcement! Aren’t the cover’s great? They are by LLPIX Photography. If you like high action, unusual characters, and wonderfully drawn international locations, you are going to love these two books. 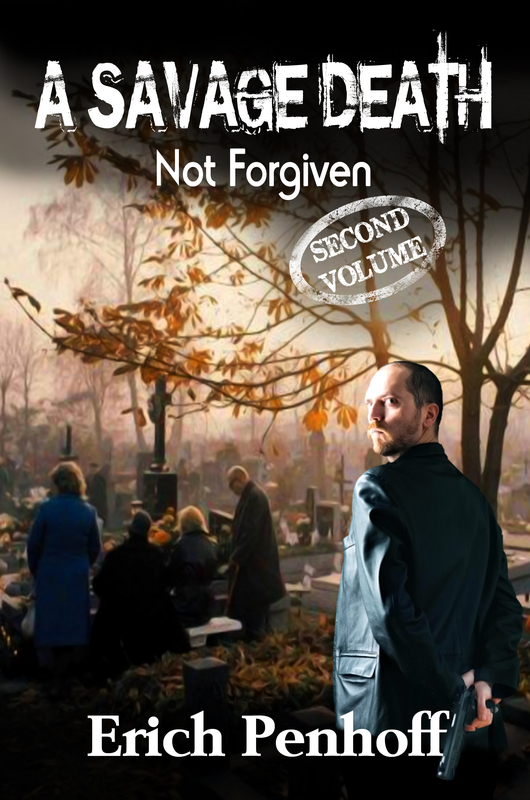 The third, unnamed volume will be hitting my desk soon, and I can hardly wait! 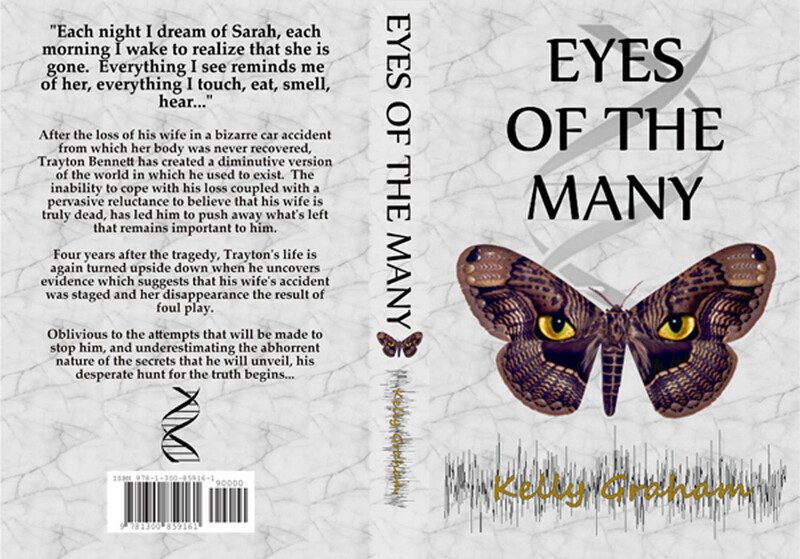 Today I am hoping to finish the edit for Kelly Graham’s Eyes of the Many. It seems like all of the books I am working on these days have killer covers! This one is awesome too, isn’t it? I will add the name of the artist later. Currently, my list is being developed of different cover artists who have been recommended to me, or who I have found myself that I really like and who do a great job. Watch for it to show up soon. A few things of a more personal and “just for fun” nature! 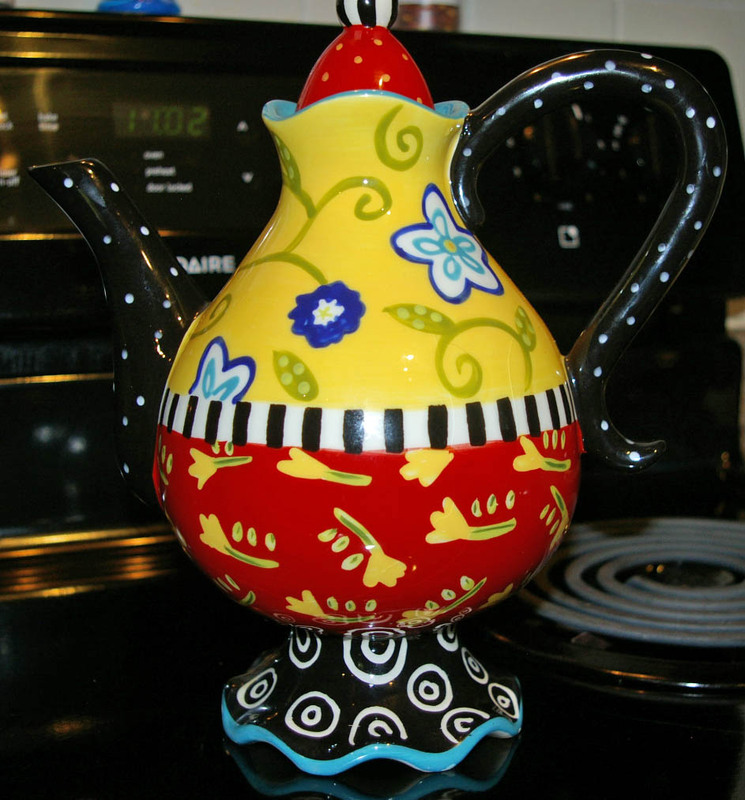 I just made a big pot of Cucumber Mojito tea, after guzzling about a gallon of English Tea this morning. I finally took a minute to order more tea from Tea Guys (woo hoo!) so will be receiving more Pu-Erh (an aged black that my housemate is addicted to), Darjeeling (my favorite straight black) and smaller bag of Coconut Lemongrass Chai . It is very refreshing, and besides, who can’t love something that is this pretty when it comes out of the bag? 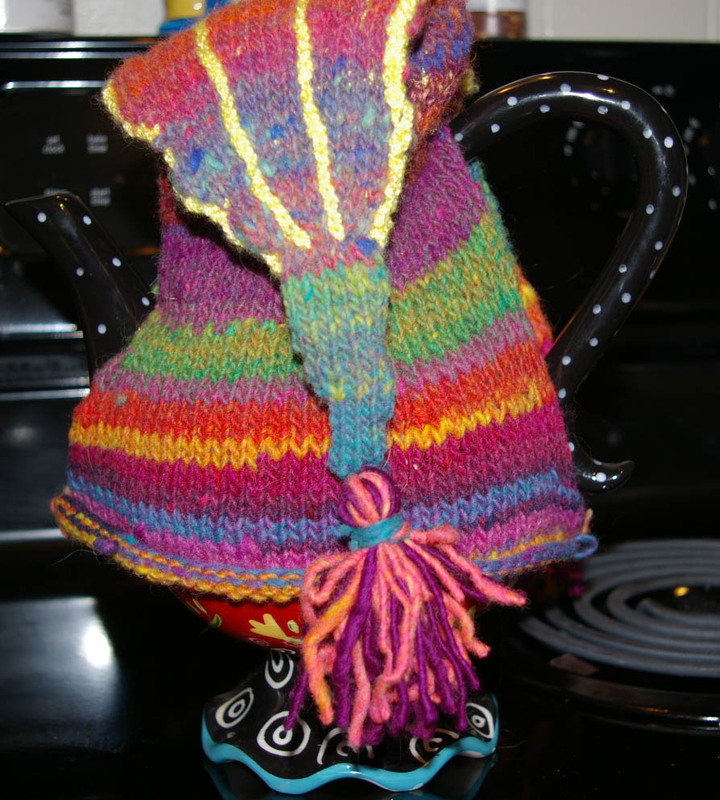 So, I am using the Really Wild Tea Cosies book by Loani Prior again. The pattern is Grecian Lovely. Of course, I have to do things differently, right? 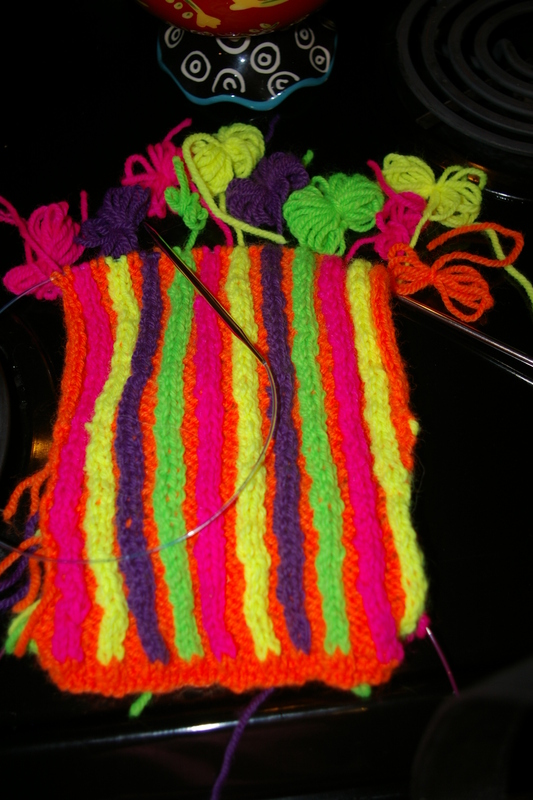 So my Grecian Lovely is a bit brighter than this one – the side I am working on looks all neat and tidy, huh? Well, of course, it doesn’t really look like that on the other side – LOL!! 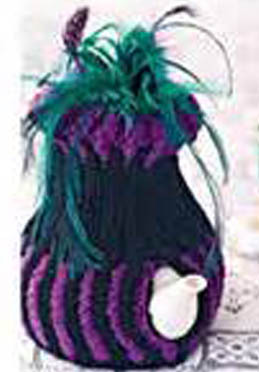 Of course, it will be good to get a cosy made for it, seeing as how this one’s ‘skirt’ is a bit short! Well, 4-pot covers aren’t really made for 7-cup pots, huh? 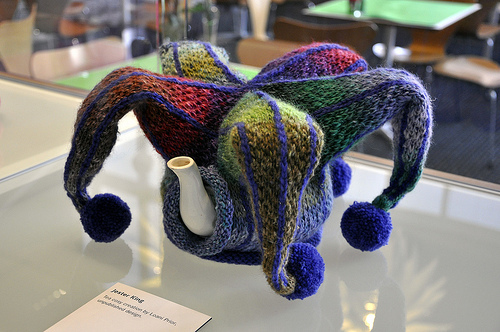 Teapot showing it’s bottom . . . Starting on one side. 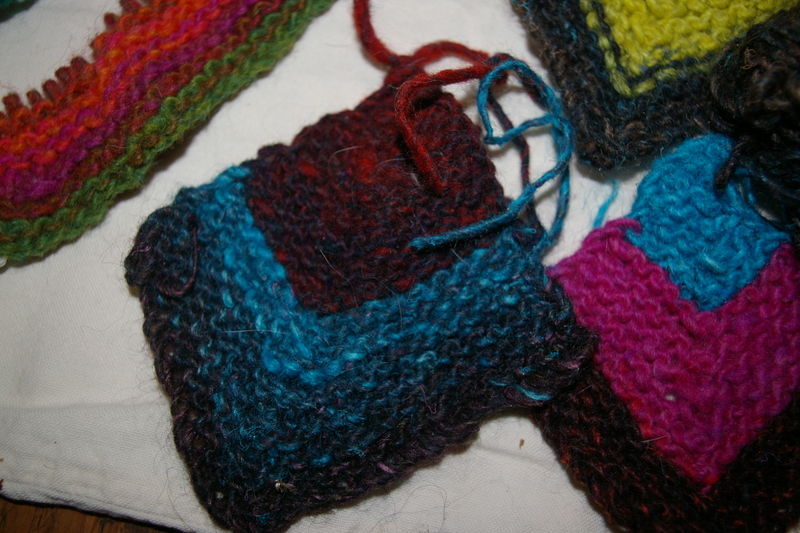 Flat knitting on each side. Eggplant lace yarn from See Jayne Knit. Oh, and I signed up for a class at Craftsy.com called New Directions in Lace. I can take the class any time I want, in stages, so any time I get a moment to play with it, I can do it. Cool, huh? It is a really beautiful pattern, and I have this lace-weight yarn from See Jayne Knit. 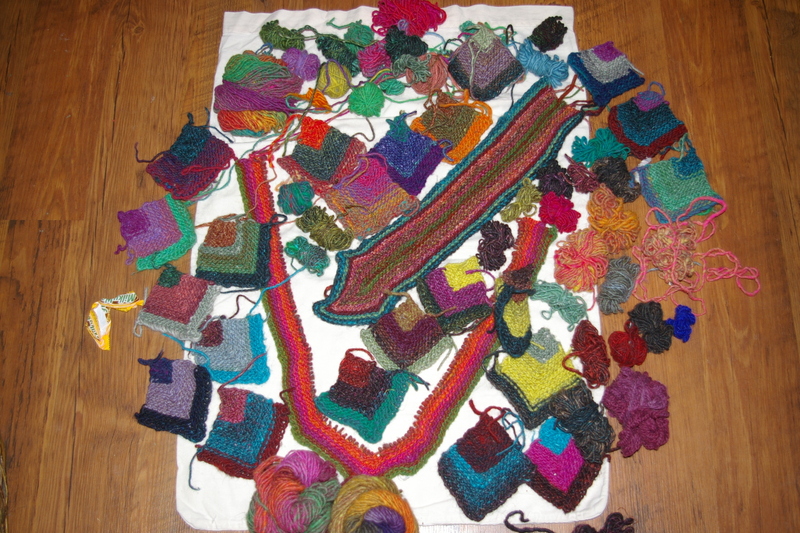 It will be interesting to see if she can make me more of this, as there are 825-yards and I need about 1200-1300 yards! Well, enough piddling around. Time to get to work on Eyes especially as I am really looking forward to it! I am neck deep in a huge editing/publishing project for a wonderful author (all very hush, hush right now, but just WAIT until the book comes out! It. Is. AWESOME!) So I won’t be writing much for a bit. Back to the bottom of the jacket. Starting the top over again. If I would occasionally pay attention, I wouldn’t have so many UFO’s lying around! Just a couple of updates. I messed up the Baby Albert and had to take out a lot of stitching. Sigh. That is what I get for getting so involved in my book I wasn’t paying attention to my stitches!) Now I am back to this. Oh, well. 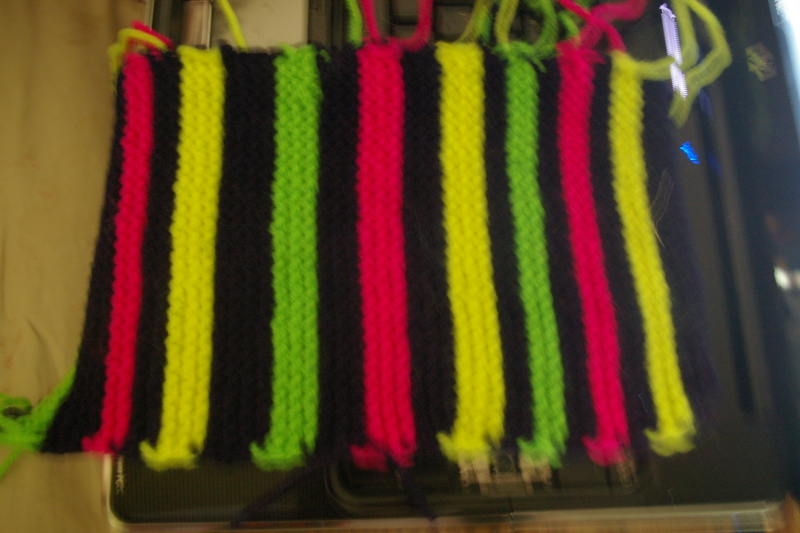 I like my new idea for laying out the colour blocks for the top better anyway! Photo courtesy of Morgan at Morganised Chaos. 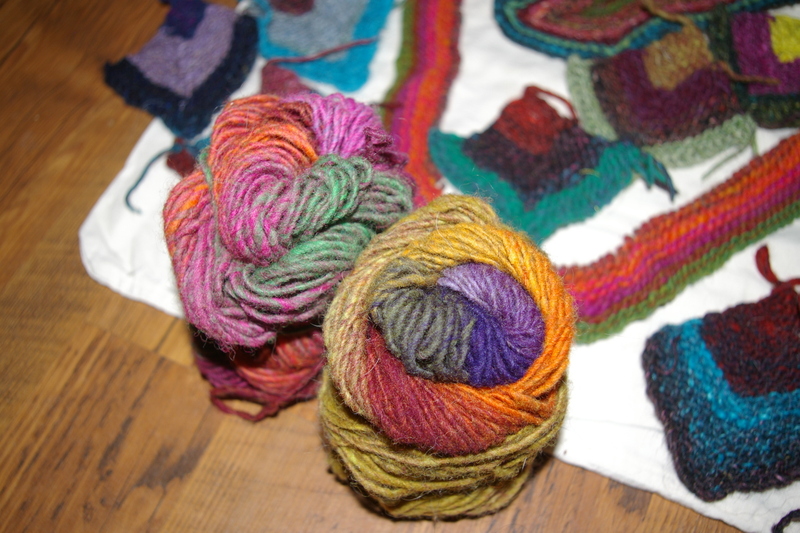 I was working away on the Jester Tea Cozy, but got to end of the ball of Noro Kureyon that I was working with (aren’t leftover bits-and-bobs wonderful?) and ran out of the 102 I had in my knitting basket. I like the 274. It went into a purse I sold a year or so ago. The 319 went into the same purse. It turned out beautifully and sold immediately. Need to make some more of those I guess. . . I went looking through my “ends” box and couldn’t find my other 102 that I “know” I have somewhere, so I dug out what I do have. Hum… a bit of 274, several yards of 319. 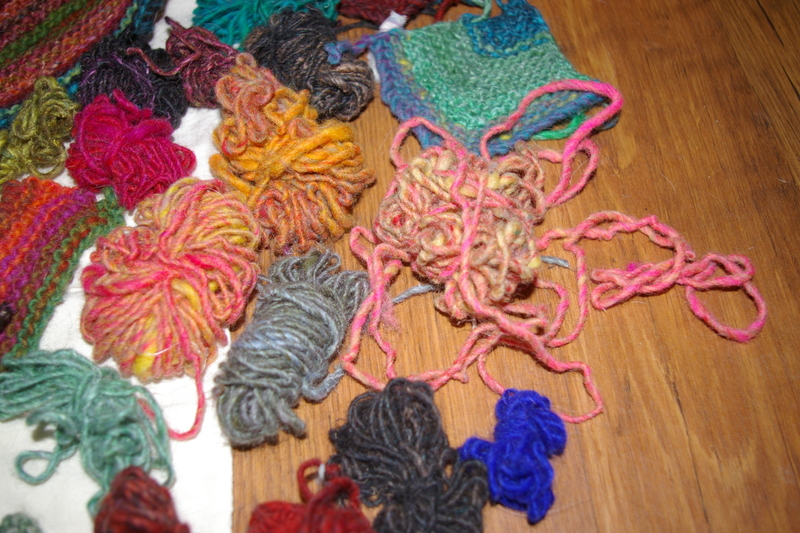 I also have nearly a whole skein of 185. The 185. Ugg. WHAT was I thinking??? looked good – until I unwrapped it! UGG! The problem is, I hated the 102. Still do. 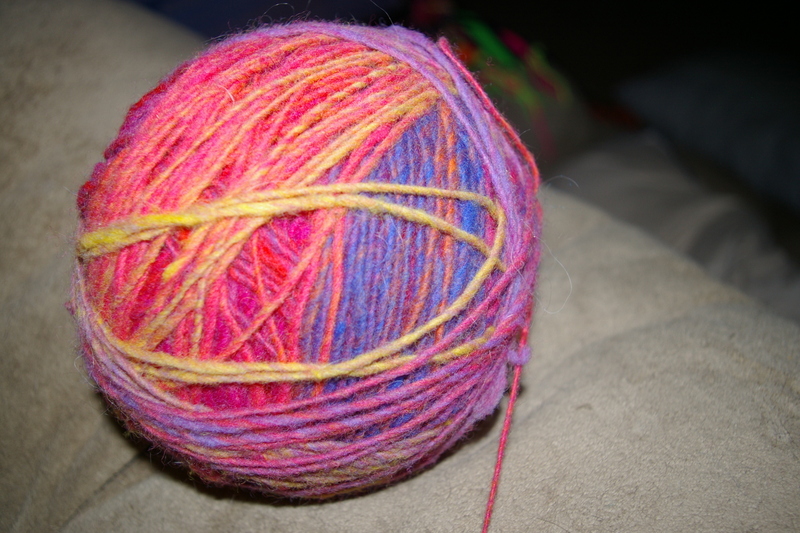 I should probably tear it apart and dye the pieces and re-spin it, or maybe just re-dye the whole wad of it, but I just have too much on my plate. Most of the Kureyon is beautiful, and the 102 I had purchased purposely for a purse that I was making. 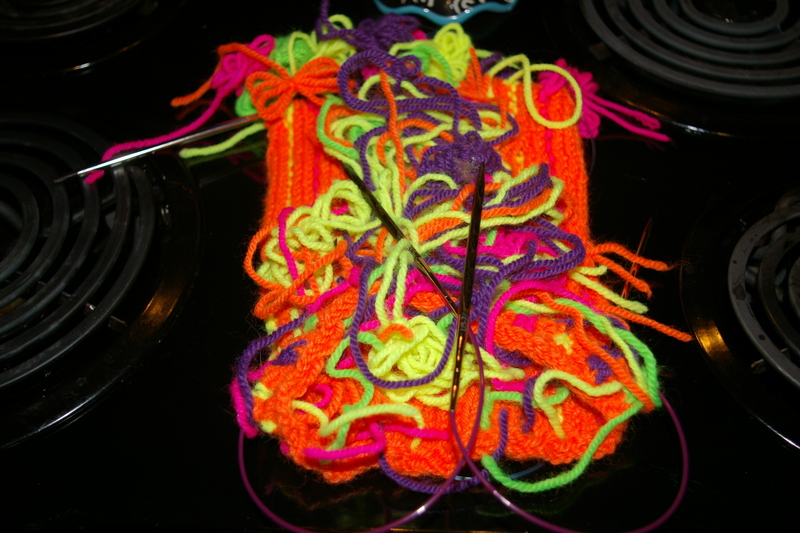 The thing is, when I started knitting with it, it turned out, (how can I say this nicely?) BORING. . . Noro does that sometimes. Mostly, their colour ranges are lovely, but sometimes, as with everyone I suppose, a particular colour goes flat. And 102? 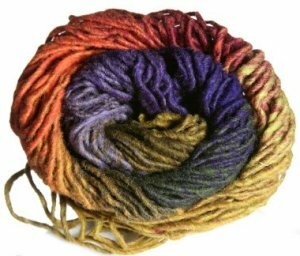 Noro Kureyon 102. I actually hate this colour. Maybe if I over dye it? Ugh. Here, take a look. I had thought the blues/peaches/lavenders/golds would make a good base colour for the Dream Coat that I fell in lust with from the book Dazzling Knits by Patricia Werner. I mean, Look at this coat! Stunning, isn’t it??? The Dream Coat. Yep, it is a dream all right. . . a Dream I can’t seem to make come true! Anyway, needless to say, I haven’t finished the coat. I do have several triangles made, and some of the stripes, but I had bought quite a bit of the 102 to balance things out, and instead it just washes everything out. So, this is what I have now . . . as well as some closeups. The 102. It looks brighter and more cheerful in this photo . . . Leftovers. The 185 looks Much brighter in this pic than it really it. It. Is. DULL. Gag me. The 102 is by the gray. 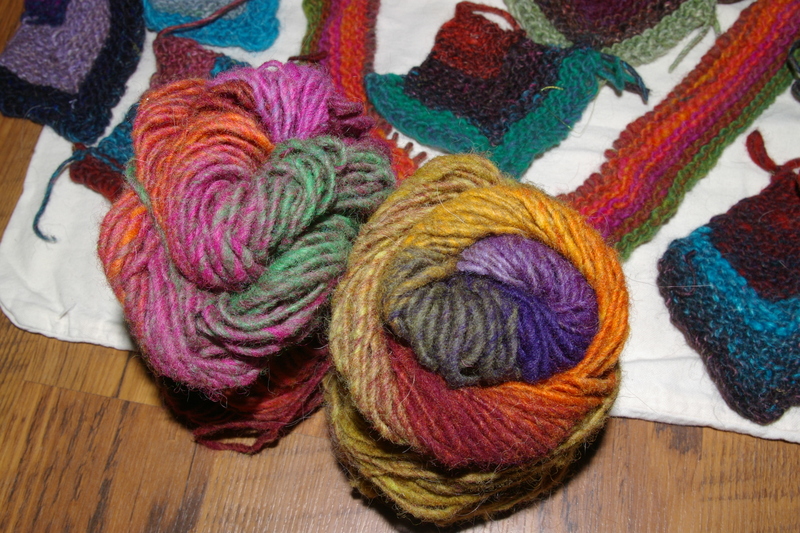 These two skeins are actually a LOT duller than they look in the photo. This is what comes at taking photos in the kitchen at 3:30 in the morning. 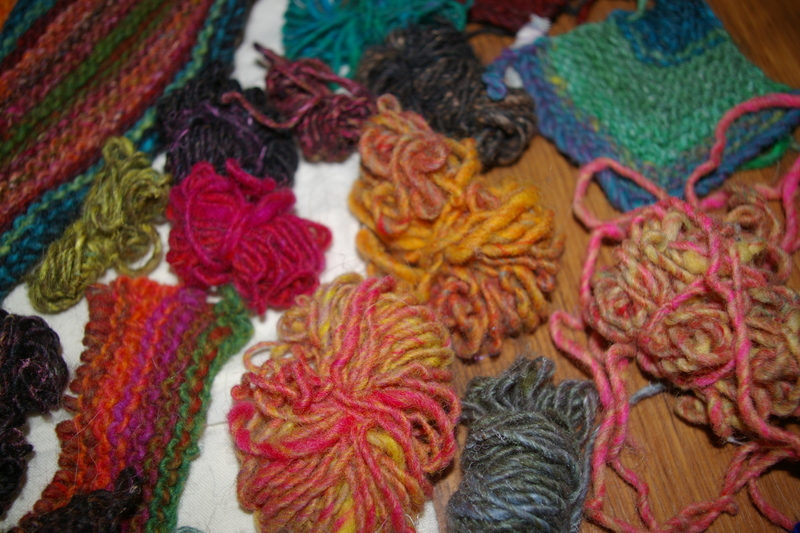 You break the yarn into these little, teeny-tiny sections…. Sigh. A lost of my work got pulled apart and used for other things. This is what is left. The stuff I thought was salvageable! I actually like this piece quite a bit. Anyway! If it sounds like I am goofing off? Yep. Just got up an hour ago (it’s 3:34 AM – yes, I sleep weird hours!) but it is time to get to work now, so here I go . . here I go. . . Yep. I am moving. Getting up. . . really……………. Yawn. Coffee! Yeah! That’s what I need! 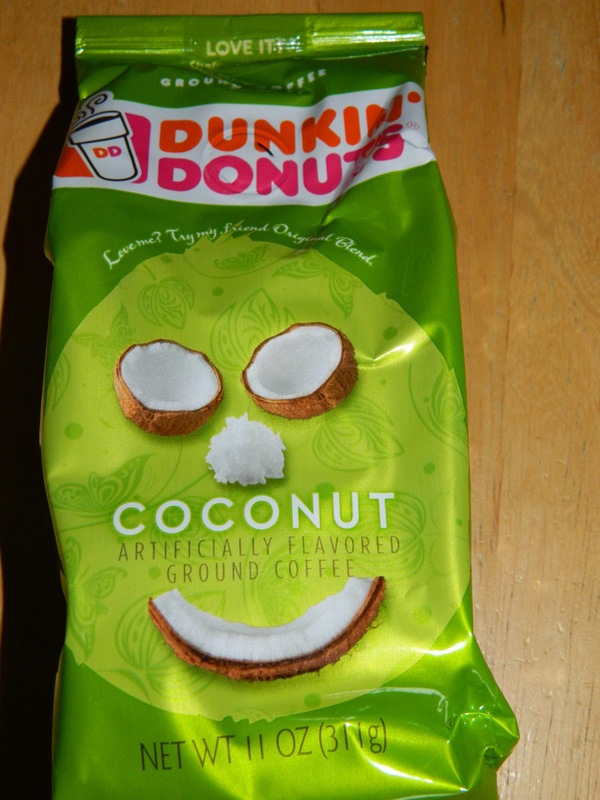 I just got a bag of COCONUT Coffee! I have been trying for ages to find a good quality Coconut flavouring to add to my coffee when I brew my beans. Dunkin’ Donuts ROCKS!!! OK cold leftover Chinese food (fried rice, shrimp and peppers and some kind of chicken thing) and now, I am ready to work!